The Bible (we refer only to the closed canon of the Old and New Testament texts) is the Word of God. We trust the Bible based on the witness of the resurrected Jesus, whose bodily resurrection is as verifiable as any ancient historical event. Since Jesus’ bodily resurrection verifies His claim to be God, then we must take very seriously God’s high view of the authority of Scripture. 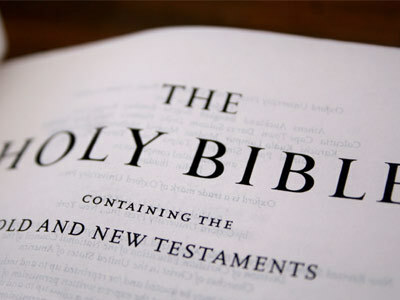 The Bible is the collection of the thoughts–even the very words–that God gave to the authors of the Biblical books. The Bible is a gift God has given to His church. It is not a collection of ancient fables and myths. The Bible is the sure and certain means that God the Holy Spirit uses to communicate God’s Word to us today. The Bible consists of a mind-boggling 700,000 words contained in its 1,100 chapters and 66 books. Originally penned in Hebrew, Aramaic, and Greek, the books of the Bible have today been translated into a multitude of languages the world over. Remarkably, from beginning to end, they declare - sometimes in minute detail - the saving promise God made to a sinful world that one day His own Son would atone for the sins of man. And this, of course, he fulfilled through the life, death, and resurrection of His Son, Jesus Christ.